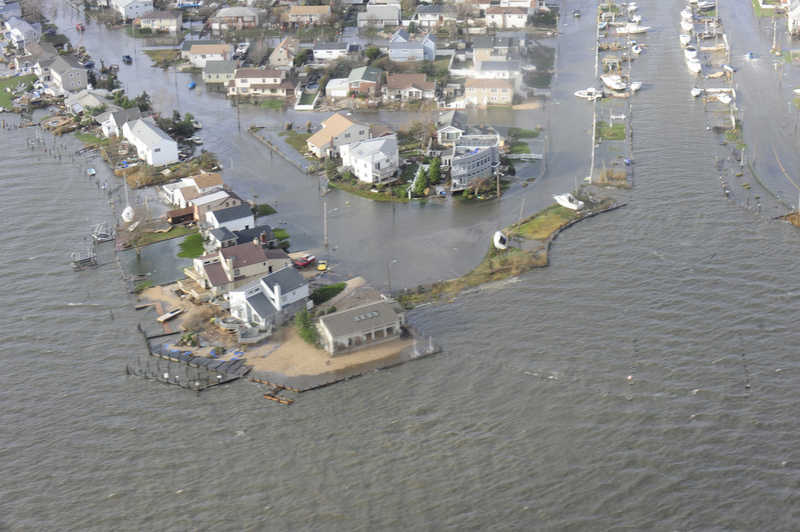 Section of Long Island following Hurricane Sandy photographed by U.S. Coast Guard Petty Officer 2nd Class Rob Simpson. Photo in the public domain. The 2016 Atlantic Ocean hurricane season officially began June 1, with meteorologists offering varying opinions about how much activity we in the eastern U.S. will see. Hurricane Sandy (October 2012) savaged tree populations with both high winds and flooding. Sandy brought one storm surge of salt water that retreated with the same day’s tides. What were some of the impacts and lessons learned? We hear from a veteran arborist on Long Island and from a former NYC urban forester. Arborist Joel Greifenberger is the owner of Valley Tree and Landscape in Long Beach, Long Island. Valley has planted more than 25,000 trees for NYC in over 25 years. Greifenberger says that on Long Beach, Hurricane Sandy brought several feet of salt water on land, “bay to ocean,” for about 12 hours. That brief flooding event left dramatic damage to the region’s trees, with some surprising victims.